Physical mobility in societies and the economic growth of societies have been linked to the availability of means of transport and to their combination and coordination, particularly as a result of modernization and urbanization processes. Intermodal processes have always been inseparable from the movement of people and goods, and in any given historical period we find testimonies and documents that verify this continual close cooperation between transport and mobility. The constant presence of these interconnection and modal transfer phenomena led to the consolidation of routes and corridors, both of intercontinental and international scope and on a national, regional and local scale. All these processes have helped to shape complex and increasingly efficient transport systems, especially since the mid-nineteenth century, coinciding with the strong impetus for technological change provided by the onset of the industrial era. 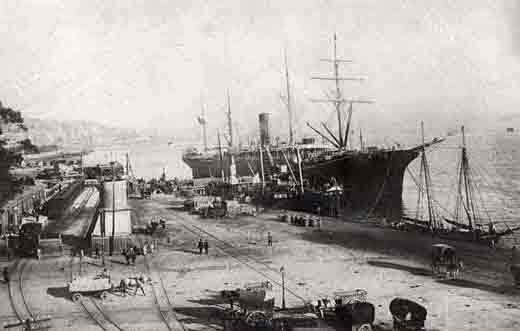 Therefore, the phenomenon of intermodality did play an increasingly prominent role in transport activities, as each mode reached higher levels of speed, flexibility and technical efficiency, in stark contrast to the inertias that had existed in the characteristic transport system of the pre-industrial era. The future of public transport in the last 100 years depended on good and easy intermodal mobility. While walking and driving may have allowed monomodal point-to-point travel, public transport by definition includes a transition between transport modes. Thus, transport planning in favour of public transport systems did face public expectation to provide intelligent intermobilites in order to support public transport modes. – International and transnational intermodality and its technical, economic and political-administrative aspects. – Intermodality and migratory processes. – Intermodality in metropolitan cities and its effects on urban development and on transport demands and everyday travel habits. – The planning of intermodal complexes throughout history: projects, successes and failures. – Spaces for modal interchange: stations, airports, sea and river ports. – Technological consequences for modal interchange in the sea and river transport sphere: from stowage to container traffic. – Intermodality in the air traffic sphere. The airport within reach of the city and major intermodal hubs: from metropolitan connections to the emergence of high-speed lines. – Light intermodality in large cities: the different ways in which users access the transport system (walking, cycling and driving to major intermodal hubs). Port of Santander, Spain. Narrow gauge station of Railway Santander-Bilbao, 1966. Railway Historical Archive-Madrid Railway Museum. Sig: FF-10120. Although we are calling for the submission of thematic session proposals, papers and posters on the subject of intermodal transport in historical perspective, the Madrid Conference would like to continue to maintain a close collaboration among academics, students and professionals engaged in research and teaching activities in all fields of historical transport, traffic and mobility studies. Therefore, any submitted paper which explores the themes that are the leitmotifs of our association will be welcomed and assessed for their possible inclusion in the conference session schedule, although papers focusing on intermodality will be afforded preferential treatment by this scientific committee. Papers must be sent to: submissions@t2m.org. The deadline for sending abstracts and an abbreviated CV was May 20th. Delivery of final papers and posters for all papers is: September 30 st to submissions@t2m.org. The poster format should be a pdf. It will be published in A2; therefore remember: pictures in fine resolution and letters of appropriate size. Posters are an important element of every t2m conference and the submission of a fully completed poster form (1 page A4) is mandatory for all speakers. Posters of all oral presentations will be exhibited in the public area of the Museo del Ferrocarril de Madrd. This practice will contribute to better promotion of the history of transport, traffic and mobility as a science discipline and as a public service. Thus T2M will also contribute to bridging the ever increasing knowledge gap between research and society. Thematic session proposals must also include an one-page on their academic interest. Authors of papers which have been accepted will have until September 30, 2012 to submit their definitive texts. Once these texts have been accepted, they will be published in a restricted area for conference participants on the conference website and will form part of the Conference stick that will be distributed to all participants. Individual presentations will be subject to a maximum time limit of 15 minutes in order to allow time for debate and discussion during the thematic sessions.